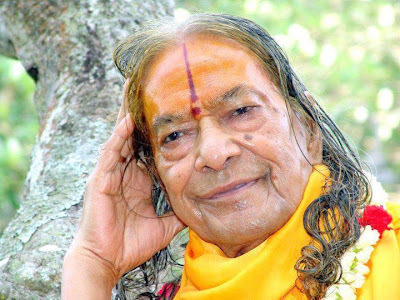 What is so difficult about Bhakti? The one whom we have to worship is sitting within our heart. One God, Shri Krishn is sitting within the hearts of everyone, Everyone - Man, Dog, Cat, Pig, Demon, everyone. And, he is everywhere, within every particle of the universe. But, we cannot see Him. We will be able to see Him after we are purified by doing Bhakti.... Right now, we have to try to bring God in our hearts. Later, we will not have to try, we will be able to think about God continuously without any effort. It will be very natural.Once there was a beautiful Gopi sitting near the Yamuna river and someone thought look at this beautiful girl, she is thinking about Shri Krishn. Someone asked her you are thinking about Shri Krishn? She said, you took His name again, I am trying hard to remove Him out of my mind but in vain. I have small kids to take care of and my family for whom I have to cook and run errands. Whenever I am cooking or trying to do something, He comes in front of me and plays His melodious flute and I forget everything and get lost in His thoughts. Such is the high state of the gopis who are physically doing all the work at home but in their mind, she is continuously thinking about Shri Krishn.